I was talking with a friend about Nicholas Wolterstorff’s contemporary classic Justice: Rights and Wrongs, especially Wolterstorff’s argument that only Christian moral philosophy can give a proper grounding to human rights. As I recall, Wolterstorff has to defend his front and flank: on the one hand, his liberal and/or secular readers hold an almost pious belief in the concept of human rights and so find it insulting to suggest that rights need a “grounding”; on the other hand, his conservative and/or pious Christian critics are wont to harbor skepticism about the very use of “rights” talk in doing moral philosophy, where alternate concepts such as love, humility, obedience, and self-sacrifice do more of the heavy lifting. 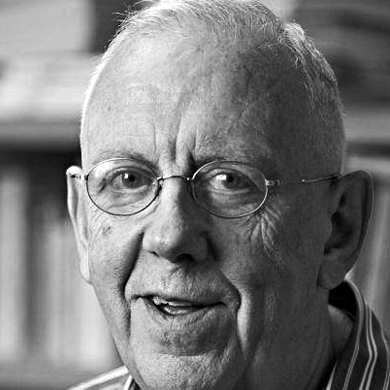 Alasdair MacIntyre is an example of the latter sort. MacIntyre is certainly a Christian, although he is inconsistently or only idiosyncratically conservative. More to the point, he is with Roger Scruton and Leo Strauss in being a critic of rights talk. My friend asked for an example of his criticism of ‘rights’, so here goes. The place to look is in After Virtue, Chapter 5 (“Why the Enlightenment Project of Justifying Morality Had to Fail”) and 6 (“Consequences of the Failure of the Project.”) I’ll give a quick overview of After Virtue’s argument and explain the criticism of rights talk in that context. After Virtue has three main parts: a deconstruction and critique of modern morality, a central disjunction, and a reconstruction and defense of virtue ethics. The first part has a few chapters of prologue about modern moral philosophy’s state of disrepair (chapters 1-3) followed by a long deconstructive argument (in chapters 4-8). The second part is a single turning point (chapter 9) which poses the question: ‘Nietzsche or Aristotle?’, i.e., virtue or moral nihilism? The third part is a long constructive argument (chapters 10-17) giving the historical roots and contemporary fruits of the concept of virtue which demonstrate the need and benefit of restoring that concept to primacy of place in modern moral discourse. I say all this to make it clear why MacIntyre rejects rights talk in After Virtue. By the time we get to chapter 9, every other moral alternative besides classical virtue and moral nihilism has (in 1-8) been debunked, including the so-called objective morality of human rights. By criticizing rights talk, we should refrain from jumping to the stupid conclusion that MacIntyre is criticizing morality itself or endorsing moral nihilism. Very clearly, in context, he is trying to show that there is only one foundation upon which morality can survive. Right or wrong, his criticism of rights talk is a criticism of a particular vehicle for understanding morality – a vehicle that is precious to Enlightenment and post-Enlightenment thinkers but which, he alleges, is not up to the task which they put it to. At the beginning of chapter 6, MacIntyre summarizes what failed in the Enlightenment. In a word, the Enlightenment tried to jettison telos from morality. The question becomes how to justify new moral rules without appealing to the point of those rules nor the categorical authority of a God or gods that deliver those rules. Gerwith jumps from this (true) premise that each rational agent needs certain things to the (doubtful) premise that each person has a right – a justified claim on others – to these goods. Where did the rights come on? So what exactly is the criticism and the argument? To summarize: The belief in human rights, apart from a particular civil order, is simply asserted confidently but without grounding. Pre-modern people either didn’t have human rights or didn’t know they did because they didn’t talk about it. Appeals to the “self-evidence” of human rights or moral “intuitions” about the same are baseless. It makes sense why Wolterstorff would feel the need to give a grounding!